The burnt sugar syrup flavors this old time favorite cake. It's a 2-layer cake filled and frosted with burnt sugar frosting. Melt 3/4 cup sugar in a skillet over low heat, stirring occasionally, until it turns into a rich amber color. Turn off heat, and very carefully add the boiling water. The mixture will spatter at first. Return the syrup to low heat and simmer, stirring frequently, until the sugar and water are thoroughly mixed and smooth, about 4 to 5 minutes. Adjust rack to lower third of oven; preheat at oven to 350 F.
Grease and flour two 9-inch layer cake pans. Line pans with buttered parchment or waxed paper rounds. Sift together flour, baking powder and 1/2 teaspoon of salt; set aside. Cream butter until smooth and creamy. Add the granulated sugar and continue creaming until light and fluffy. Add eggs, one at a time, beating after each addition until well blended. 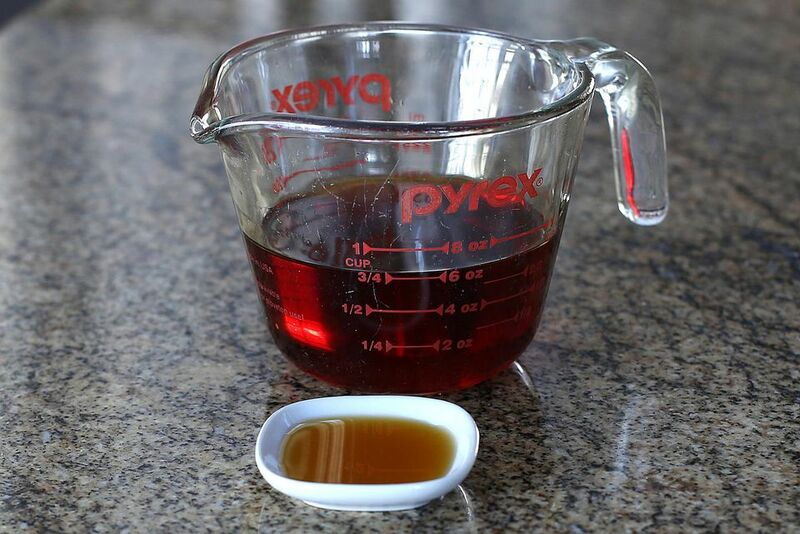 To the 1/2 cup of burnt sugar syrup add enough water to make 1 cup; stir in 1 teaspoon of vanilla. Add the dry ingredients to the creamed mixture alternately with the burnt sugar syrup-water mixture, beginning and ending with the flour mixture. Beat until well blended and smooth. Divide the batter between the 2 cake pans. Bake the cakes for about 25 minutes, or until the surface springs back slightly when lightly touched in the center with a finger. The cakes will contract slightly from the sides of the pans. Cool 10 minutes in the pan on wire racks, then invert the cakes onto the racks. Carefully peel off paper liners; turn baked side up, and cool completely before frosting. Fill and frost with Burnt Sugar Frosting (instructions below) and decorate with whole pecan halves. Cream 1/4 cup unsalted butter until light and fluffy. Sift the confectioners' sugar with the 1/4 teaspoon of salt. Gradually beat the confectioners' sugar mixture into the butter with the remaining 1/4 cup Burnt Sugar Syrup and 1 teaspoon vanilla. Continue beating until creamy and spreadable. If mixture is stiff, add water, about 1 teaspoon at a time.